I hope and pray that someday Bollywood can be free of such lowlifes enjoying the adulation of millions but socially so irresponsible. We need to have real heroes and heroines in Bollywood,real men and women who stand up for the dignity of helpless folks, be living examples of compassion, goodwill, and heroism and make a real impact in the nation by using their power and position to help rather than derail movements such as #metoo and other causes and lead by example. Till then no option but to put up with these fake heroes and their even faker rag doll heroines! !”During the #MeToo wave in the industry last year, Ajay Devgn had shown his support and tweeted that neither he or his company will stand by the #MeToo alleged persons.I’m disturbed by all the happenings with regards to #MeToo. My company and I believe in providing women with utmost respect and safety. If anyone has wronged even a single woman, neither ADF nor I will stand for it. 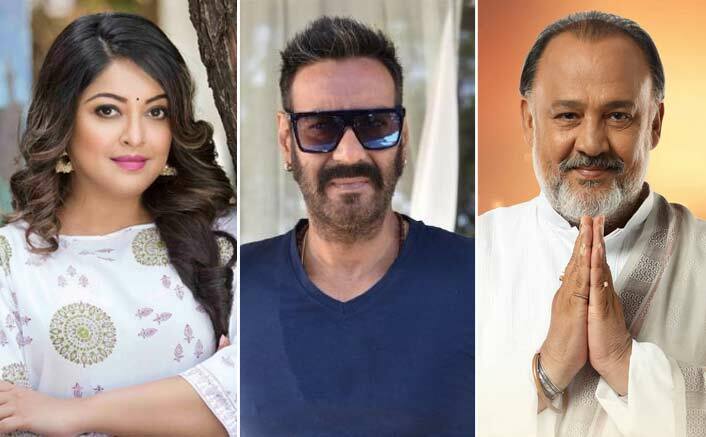 #MeToo: CINTAA Takes Action Against Alok Nath, Expels Him From The Association!